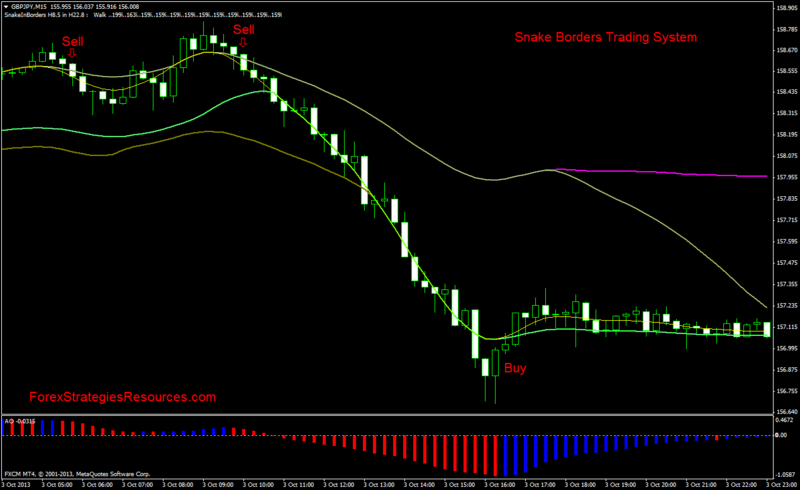 Snake Borders Trading System is based on the Snake borders indicator. It is very easy. 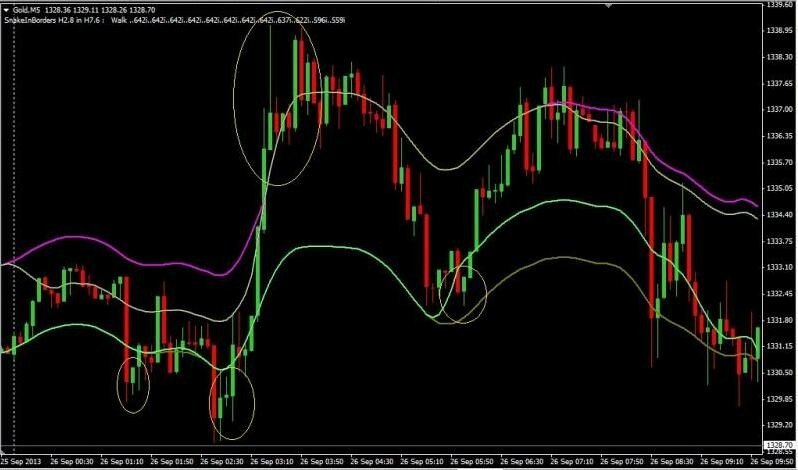 Wait the candle price is out of the lower band and buy when the candle retraces into the bands. Wait the candle price is out of the upper band and sell when the candle retraces into the bands. 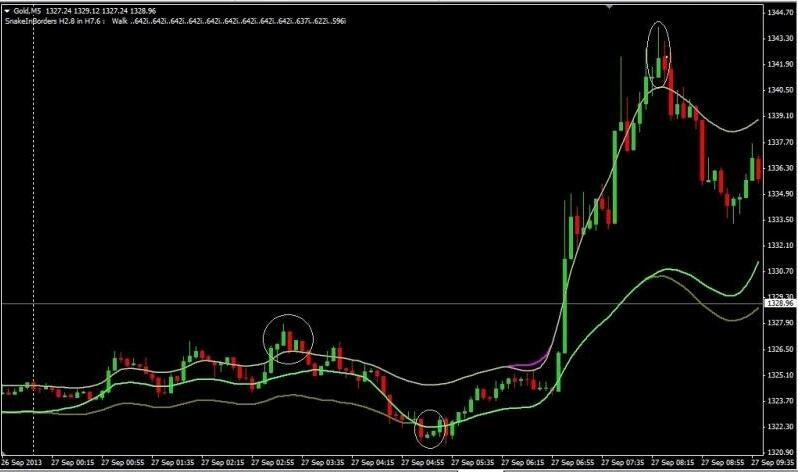 Exit position, recommended with fast profit target predetermined that depends by currency pair and the time frame.